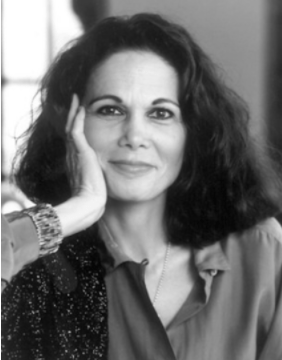 Julia Alvarez is a Dominican-American poet and author. She was born in New York but moved to the Dominican Republic when she was three months old. After ten years of life there, her family fled back to Brooklyn because they had supported an unsuccessful attempt to overthrow the Dominican dictator Rafael Trujillo. Despite her tumultuous childhood, she went on to earn a master’s degree from Syracuse University. From there, she began to write novels and poetry. Her first novel, How the García Girls Lost Their Accents, was published in 1991 and was a critical and commercial success, becoming a mainstay in Latino literature studies and also selling well over 250,000 copies. Many of her works, including The Garcia Girls, deal with the theme of being bicultural and the struggles that come from that, which she draws on from her own experiences. Since her first work of fiction, she has written many others, as well as children’s books and young adult novels, and has gone on to publish collections of essays and poetry as well. Gloria Anzaldúa was born in South Texas to a family of sharecroppers in 1942. After her father passed away, she began working in the fields as a young girl in order to financially support her family. She continued her fieldwork through high school and college, while also pursuing her interests in writing and drawing. She received her B.A. in English, Art, and Secondary Education from Pan American University and went on to earn an M.A. in English and Education from the University of Texas. She spent her time after college teaching a bilingual preschool program, a Special Education program and later taught Feminism, Chicano Studies, and Creative Writing to college students around the country. While teaching and after she stopped, she wrote many novels the captured her experience as a queer Latina and children’s books that celebrate the Mexican culture. She won many awards for her writings in her professional life. One of the most distinctive traits of her writing is her strong use of “Spanglish” as a way to connect on a deeper level to her bilingual readers, while also serving to represent her sense of her isolation and estrangement that she felt in life to non-bilingual readers. Gloria passed away in 2004, but her works continue to influence both the Latino and LGBT communities to this day. In 1948, Juan Felipe Herrera was born into a family of migrant farmworkers in Southern California. Because of this, Juan Felipe lived a relatively unstable childhood, as he was always moving around and lived in tents and trailers up and down the farming towns California. This would go on to shape his work later in life. After completing high school in San Diego, he attended UCLA with a scholarship from the Educational Opportunity Program and received his B.A. While there, he studied anthropology, experimental theatre, and became involved with the Chicano movement that was arising. In 2016 Oregon State University awarded him an honorary Doctorate degree. He moved to the bay area to receive his Masters in social anthropology from Stanford and, upon leaving school, became involved with the poetry scene and began teaching poetry at local schools and universities. Since then, Juan Felipe has continued to write poetry and children’s books and was appointed as professor in the Chicano and Latin American Studies Department at Cal State, Fresno. Beyond writing, he also is active in the theatre community, bringing the Chicano movement to center stage. 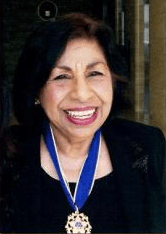 Sylvia Mendez was born in Santa Ana, California in 1936 to a Mexican immigrant father and a Puerto Rican mother. At the young age of 8, she became a Civil Rights icon and played a significant role in the desegregation of California schools. In 1943, Hispanic students were forced to attend separate schools from their white peers. Because of this, Sylvia was denied entrance to an all-white school, which caused her parents to challenge the laws of the state. In Mendez v. Westminster, Sylvia’s father, Gonzalo, teamed up with four other Mexican-American fathers and sued the school board. In 1946, the presiding judge ruled in favor of the Mendez family and their supporters, which included the ACLU, American Jewish Congress, the JACL, and the NAACP. Although the school district appealed, the court of appeals affirmed the original court decision. This allowed Sylvia to enroll at the 17th Street Elementary school, making her one of the first Hispanic students to attend a formerly all-white school. Sylvia continues to fight towards equal education and educational rights in America. In 2011 she was awarded the Presidential Medal of Freedom. Born four weeks prematurely in 1989 in Austin, Texas, Lizzie Velásquez was diagnosed with a rare congenital disease called Marfanoid–progeroid–lipodystrophy syndrome. This disease prevents her from gaining weight, a source of much harassment and teasing during her childhood. In 2006, she was dubbed the “World’s Ugliest Woman” in a video posted to the then new YouTube, when she was just 17 years old. The experience motivated her to become an outspoken advocate against bullying. Lizzie attended Texas State University until 2012, majoring in communication studies. In 2014, she presented a Ted talk entitled “How Do YOU Define Yourself” which, to date, has 11 million views. From there, she co-wrote an autobiography, published in both English and Spanish, which details her struggles in life and how she overcame them. She has also written two motivational books, aimed at teenagers, in which she imparts her own experiences and offers advice on getting through difficult times in life. Today, she stars in a Fullscreen series called Unzipped about fashion and confidence. She continues to be a motivational speaker who leads anti-bullying campaigns and reminds the world to be kind. Raffi Freedman-Gurspan was born in 1987 in Honduras to an indigenous Lenca family. She was adopted as an infant by a Jewish couple in America, after her birth family was not able to raise her. She was raised in Massachusetts and went to St. Olaf College in Minnesota for university. There, she earned her Bachelor of Arts in Political Science and Norwegian with a Concentration in Nordic Studies. During her junior year of college, she studied abroad at the University of Oslo Faculty of Law, taking classes in international law, focusing on human rights and gender equality. When she left university, she joined the Massachusetts Transgender Political Coalition where she worked on policy and legislation for Trans rights. From there, she was hired by the mayor of Somerville, Massachusetts as the LGBT liaison for the city. She continued her work in Transgender politics and policy, working for the National Center for Transgender Equality (NCTE) along the way, until 2015, when she was hired by President Barack Obama as the Outreach and Recruitment Director in the Presidential Personnel Office. This appointment made her the first White House staffer to be openly transgender. At the end of his second term, President Obama appointed her to the United States Holocaust Memorial Council for a 5-year term. She currently serves as the director of external relations for the (NCTE). Rodolfo Gonzales, nicknamed “Corky” by his older siblings, was raised in Denver, along with 7 other siblings, by a single father, during the Great Depression. Despite these obstacles, Corky managed to persevere and graduate high school at age sixteen. After financial restrictions limited him to only one term at the University of Denver, he pursued knowledge in other ways, from meeting diverse groups of people to studying the writings of great artists such as Lorca, Neruda, Hemingway, and Steinbeck. He became well known as an amateur boxer and was inducted into the Colorado Sports Hall of Fame. Later on in his life, Corky became a prominent figure in the Chicano community and began to involve himself in politics, participating in campaigns for the Democratic Party, but later shifting his attention to the Crusade for Justice. He later became an activist for Chicano rights and forming the Colorado La Raza Unida Party, which was a third party committed to supporting the Chicano movement. In 2005, he passed away, but his influence continues to pervade the Hispanic community. Ellen Ochoa is of Mexican descent from her paternal side of the family. Growing up in La Mesa, California, she, along with her three brothers, was raised by her mother after her parents divorced. From there, Ellen became the valedictorian of both her high school and graduating class of San Diego State. She went on to receive a master of science degree and doctorate degree in electrical engineering from Stanford, while pursuing her other passion of playing the flute on the side. Ellen went on to be selected by NASA in 1990 as one of their astronauts and is known for being the first Hispanic woman in space. To date, she’s logged more than 950 hours and space. Throughout her career, she’s earned four Space Flight Medals and, in 1997, she received the Exceptional Service Medal from NASA. Currently, she holds the position of Director of Flight Crew Operations at Johnson Space Center in Houston, Texas, where she spends her life with her husband and two children in. Steve Bellán, was born in 1849 and raised by a wealthy family in Havana, Cuba. When he was 13 years old, in order to escape the political turmoil of Cuba’s fight for independence, he was sent to New York to study at the preparatory program Fordham University, then known as St. John’s college, as was the tradition with many wealthy Cuban families at the time. While there, he played on the school’s baseball team, a sport which he had learned from the American sailors who had played it on his native island. He played for the school through 1968, when he was 18 years old. During this time, his classmates dubbed him “the Cuban Sylph”, as he was known for playing gracefully. In 1871, Steve made history by becoming the first Latino to play in a professional baseball league. He played for the Troy Haymakers in the National Association (now known as the National League) and the New York Mutuals until 1873. 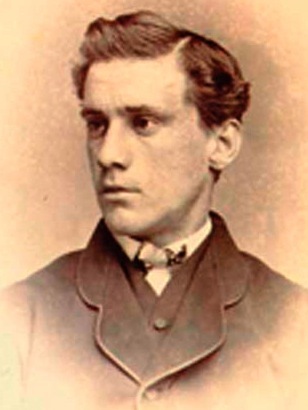 After the 1873 season, he returned to Cuba in order to build the game of baseball across the island. Steve passed away in 1932, but he is still remembered today for making American history and playing an integral role in the development of baseball in Cuba.